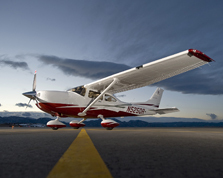 The Easiest Way to Find and Buy Cessna Parts. All Cessna Single Engine, Multi-engine, Turbo-prop and Corvalis series parts. CessnaParts.com also offers many Aftermarket product lines including, Aeroflash, Airborne, Alcor, Brackett Filters, Champion, Continental, GE bulbs, Gill batteries, Lycoming, Slick magnetos and accessories. Since 1955, Hill Aircraft has accumulated numerous parts from either auctions, liquidations or parts ordered in error. Many of these parts are out of production or hard to find discontinued items. These include Cessna, Piper, Beechcraft and other aircraft manufacturers and suppliers. In 1999 Hill Aircraft in Atlanta Georgia pioneered the first Cessna Parts online ordering system www.cessnaparts.com. Through the years we have made wholesale changes to become the premier site for all your Cessna aircraft needs and to make your shopping experience simple but yet comprehensive at the same time. CessnaParts.com offers our smartphone users a safe, secure, and streamlined mobile website for their convenience. Cessna 182 Parts, Cessna 172 Parts, Cessna 150 Parts, Cessna A150 Parts, Cessna 152 Parts, Cessna A152 Parts, Cessna 170 Parts, Cessna 120 Parts, Cessna 172RG Parts, Cessna 175 Parts, Cessna 177 Parts, Cessna 177RG Parts, Cessna 180 Parts, Cessna 140 Parts, Cessna T-182R Parts, Cessna 185 Parts, Cessna A185 Parts, Cessna 188 Parts, Cessna A188 Parts, Cessna T188 Parts, Cessna 190 Parts, Cessna 195 Parts, Cessna 205 Parts, Cessna 206 Parts, Cessna P206 Parts, Cessna T206 Parts, Cessna U206 Parts, Cessna 207 Parts, Cessna T207 Parts, Cessna 210 Parts, Cessna T210 Parts, Cessna 303 Parts, Cessna T303 Parts, Cessna 310 Parts, Cessna 320 Parts, Cessna 335 Parts, Cessna 336 Parts, Cessna 337 Parts, Cessna T337 Parts, Cessna P337 Parts, Cessna 340 Parts, Cessna 400 Parts, Cessna 401 Parts, Cessna 402 Parts, Cessna 404 Parts, Cessna 406 Parts, Cessna 411 Parts, Cessna 414 Parts, Cessna 421 Parts, Cessna 425 Parts, Cessna 441 Parts, Cessna Aerobat Parts, Cessna Skyhawk Parts, Cessna Skyhawk SP Parts, Cessna Hawk II Parts, Cessna Hawk XP Parts, Cessna Cutlass Parts, Cessna Cutlass RG Parts, Cessna Stationair Parts, Cessna Centurion Parts, Cessna Caravan Parts, Cessna Grand Caravan Parts, Caravan Parts, Cessna 208 Parts, Cessna 208B Parts, Cessna Cargomaster Parts, Cessna Skymaster Parts, Cessna Crusader Parts, Cessna Skyknight Parts, Cessna Chancellor Parts, Cessna Eagle Parts, Cessna Golden Eagle Parts, Cessna Conquest I Parts, Cessna Conquest II Parts, Cessna Corsair Parts, Cessna Corvalis Parts, Cessna Corvalis TTX Parts. Registering on CessnaParts.com allows you to enter your billing and shipping address so it will show up automatically and you won’t have to enter it on each order. On the My Account page you will be able to see all of your previous orders, print a copy of the invoice, see package tracking information and click a link to track your package. On the View page, you will also be able to “Order Again” adding the same items to your cart for a reorder. It will make your ordering experience on CessnaParts.com a Breeze!